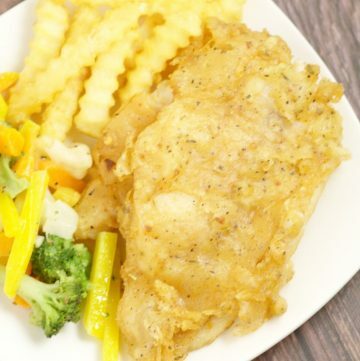 Beer Battered Catfish Fry – Catfish is covered in a flavorful, zesty, and slightly spicy beer batter, then deep fried to golden perfection. We live in a small, rural, river town, and this week we had our local town festival, Catfish Days! Even though, we’re not huge fish eaters, I wanted to get into the spirit of things and try my hand at frying up some Beer Battered Catfish. I will admit, I was skeptical at first. 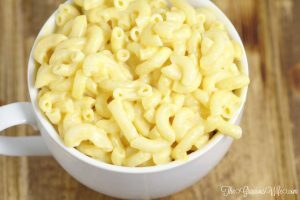 But the results were so amazing that I just had to share! I made 2 pounds of fish and we had NO leftovers. The kids loved it. The grown-ups loved it. It even made the baby smile! I don’t often break out the fryer because I just don’t like dealing with an extra appliance. But it was definitely worth it. It was fast and easy and the result was amazing. I’m so pleased that we can have an awesome Beer Battered Catfish Fry here at our own house now! 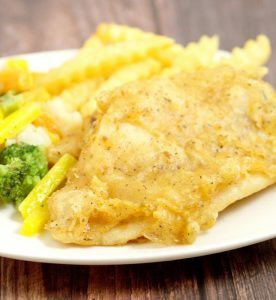 If you’re looking to substitute the fish, consider pollock, cod, grouper, haddock, or halibut. These are all considered white, lean, and firm fish, like catfish. For more on substituting fish, you can read this article about fish with similar flavors. I typically don’t have any pre-mixed spices on hand, so I made my own Cajun seasoning (which you can find the recipe for below. You can just dump everything right in the bowl. 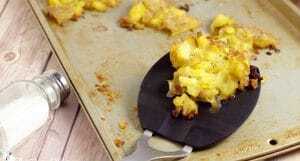 The recipe will come to 2 tablespoons, as called for.). But if you do have Cajun seasoning, you can just use the 2 tablespoons as called for. 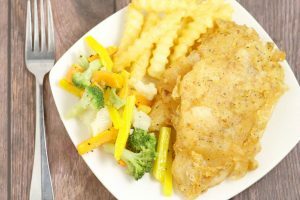 Beer Battered Catfish Fry - Catfish is covered in a flavorful, zesty, and slightly spicy beer batter, then deep fried to golden perfection. When oil is hot, lift fish strips with tongs, draining excess batter, and place in the oil, being careful not to over-crowd the fryer. Fry until browned, about 3-4 minutes. 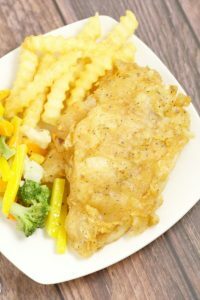 Did you like this Beer Battered Catfish recipe? 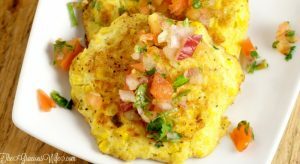 Find more on my Dinner Ideas and Salads & Side Dishes boards on Pinterest! 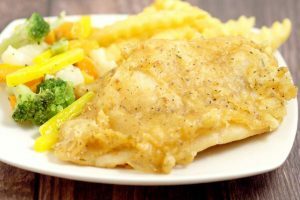 Need some sides to go with your Beer Battered Catfish Recipe? Try these! We do not use alcohol. Do you have an alternative to the beer? There are quite a few non-alcoholic beers you could use. Beck’s is probably the most widely known. But usually when I sub alcohol out of recipes, I use chicken broth, so you could go that route too. 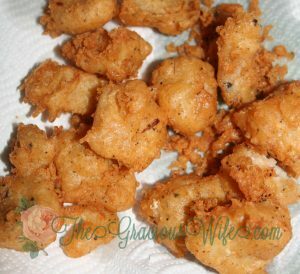 Loving the idea of changing it up with a beer batter. Yum!